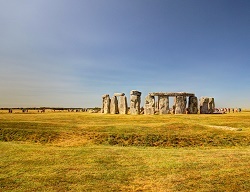 The wonderful area of Wiltshire is a delightful place to visit with many things to see and do while you’re in the area. From the World Heritage Site at Avebury and the stunning Stonehenge, to the beautiful small towns, stately homes and magnificent Cathedrals – there’s something here for everyone. With so much to do, you may need to consider an overnight spa break package rather than a spa day in Wilshire. We could recommend the Hilton Swindon or the Mercure South Marston for a good quality, well priced overnight spa break. Enjoy a spa day in Wiltshire, savour this splendid area and go home feeling refreshed and your batteries fully recharged. If you can’t find what you’re looking for in this area, please look at the other counties we have breaks listed in nearby, or if you would rather speak to a member of our experienced spa team call us for free on 0800 012 2000.